Imagine jotting down a quick memo, tossing it into the air and having a little magical fairy swoop by and catch it, stashing it away safely for later reference. TopXNotes is the next best thing! We all know and love our Mac Stickies but imagine them on steroids. That is what you get with TopXNotes, the most comprehensive task manager yet. Let’s face it, Stickies aren’t fail proof and those quickly jotted notes can sometimes be crucial. TopXNotes constantly autosaves your notes and categorizes them to help insure anything worthy of being written down doesn’t accidentally fall through the cracks. How Hard Is It To Get iPads Into The Hands Of Thousands Of Students? Lexington School District One in South Carolina shows what it takes to roll out iPads to thousands of students. Many school districts around the country are embarking on new territory this back to school season – deploying hundreds or thousands of iPads to students. Most of the deployments will be one-to-one initiatives where every student receives a school-owned iPad to use for this school year or their entire scholastic career. Planning such a roll out isn’t easy, but schools and districts making the shift this year have the advantage of looking what worked and didn’t work from counterparts that pioneered the iPad in the classroom last year. One school district, Lexington County School District One of South Carolina, has served as a model for many other schools around the country. The district offers a lot of insight into the technical requirements, education policy issues, and roll out processes in such a colossal undertaking. 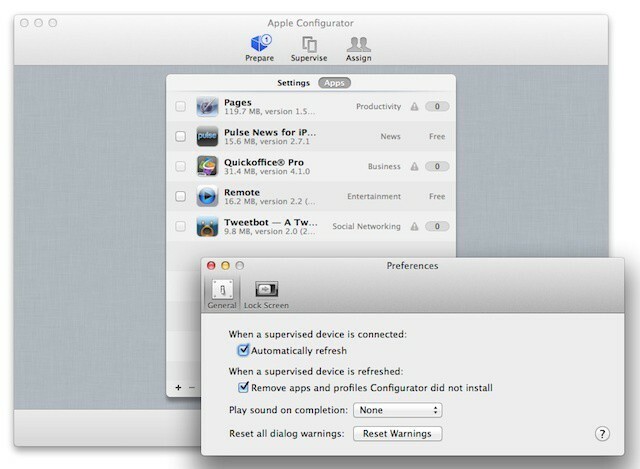 Apple Configurator update brings stability and performance improvements, but few new management options. Apple quietly updated its Apple Configurator utility that businesses and schools can use to manage iOS devices. The update brings with it relatively little new functionality to the free tool. Instead it focuses mainly on reliability and performance improvements. The update does, however, introduce some options for handling user content and user-installed apps. One of the ways that working in education is different from almost any other industries is the annual summer break. The summer break let’s schools and districts tackle large projects in ways that simply aren’t possible in other fields. Deploying a brand-new network, building an expansion, and taking part in professional development programs are just a few examples. With the end of the school year, Apple is taking the opportunity to remind schools and educators about a free professional development program that it’s offering. Called the Tune In Series, the program is a series of webcast events covering the iPad and many of the technologies that Apple introduced during its education event in January. The series is running every week through the end of August. Mass iPad deployments in schools bring new challenges when it comes to filtering laws and regulations. 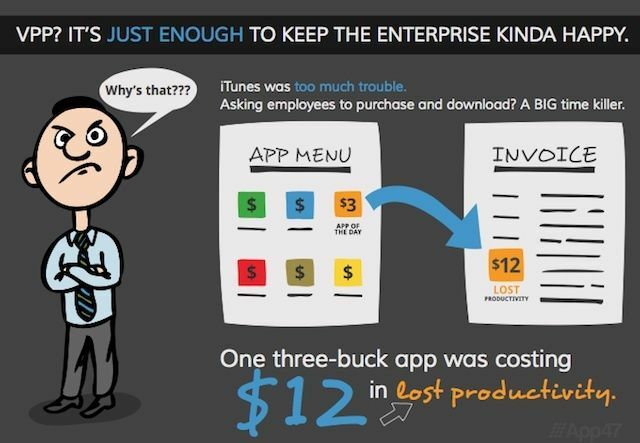 Technology in the education sector, particularly for K-12 schools, often poses unique challenges not seen in business or enterprise organizations. The iPad is a great example. As we noted yesterday, BYOD is generally not a good idea for school environments. 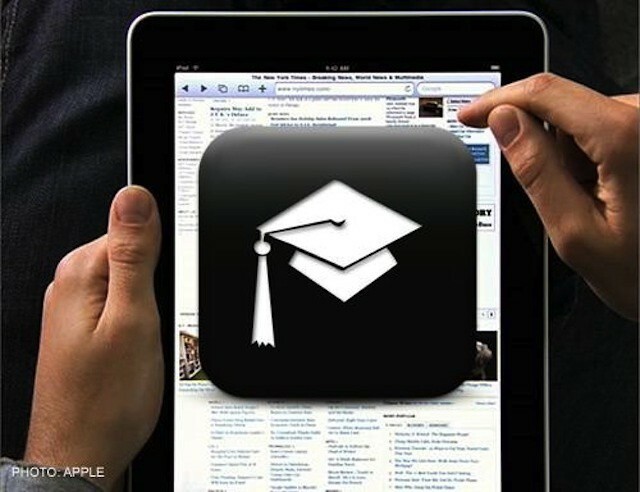 That means effective iPad deployments are typically managed by schools and education IT staff. There are plenty of stories out there about schools moving forward with one-to-one iPad deployments (we’ve run two this week – one about the massive iPad investment by San Diego’s school district and one on East Alton’s decision to lease iPads instead of buying them). One-to-one initiatives, in which each student gets his or her own device for use in class and at home, are generally considered a much more effective and ideal model than when students sharing devices during to school hours. One-to-one programs, which were first established for laptops, can be challenging because such programs need to take into consideration that the iPads will be used at home. One area where this creates problems for schools is the need to comply with filtering regulations. The East Alton school district in southwest Illinois announced earlier this week that it will be launching a one-ton-one iPad deployment for all students in grades three through eight (plus shared iPads for kindergarten through second grade). The announcement is far from unique. Many schools across the U.S. and throughout the world have already launched similar programs – some of them on a much larger scale. One of the interesting points about East Alton’s decision, however, is that the school district isn’t buying the iPads for its students – a least not initially. Instead, the district has signed a four-year leasing agreement for the iPads. 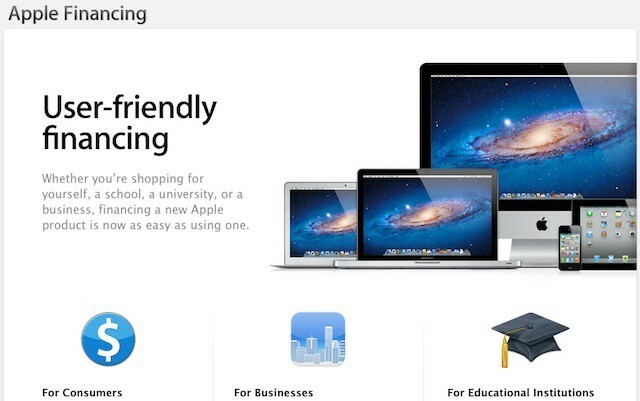 The decision highlights Apple’s often overlooked leasing programs for both business education customers. 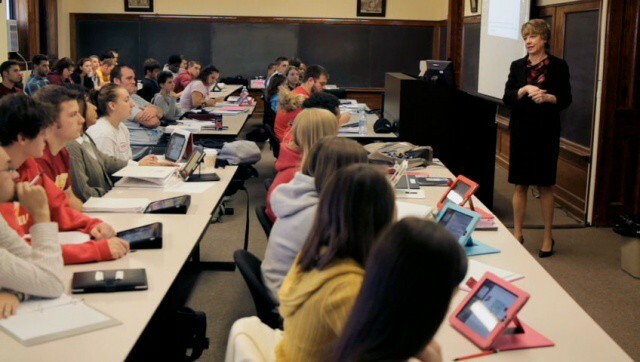 The iPad has proven to be a popular education tool among students. San Diego’s Unified Schools District has spent $15 million on almost 26,000 iPads that will be distributed across 340 classrooms this fall in what is reportedly one of the largest educational iPad purchases to date. The devices will be used by fifth- and eighth-grade students, in addition to some in high schools. Apple’s e-textbook initiative, which the company launched in January along with iBooks Author and a revamped iTunes U service is aimed at K-12 schools rather than higher education. Higher education has a different set of needs when it comes to textbooks, study, and reference materials. There are also big differences in device/platform selection between K-12 and the college market. In fact, these differences are probably a big part of why Apple decided to focus the majority of its e-textbook (and, by extension its iPad in education) effort on the K-12 market. It’s a market that yields Apple more growth opportunities now and down the road. 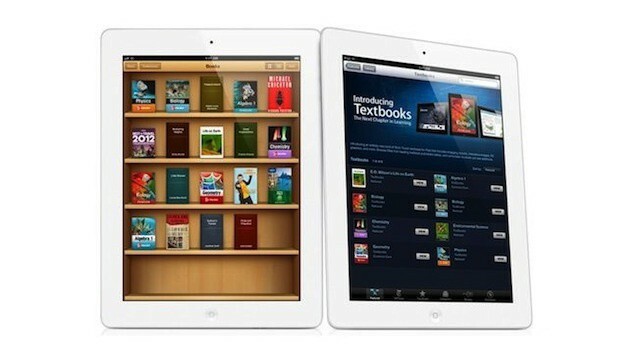 Is Apple's e-textbook ecosystem ready for the 2012 - 2013 school year? Many schools in the U.S. haven’t even had their spring break yet, but school administrators are already planning for the next school year. For public schools that means determining how best to allocate scarce financial resources and trying to determine how far they can push their budgets before the residents and homeowners in their district will vote them down. School IT departments meanwhile are beginning to consider what major projects and upgrades they’ll be doing over the summer recess. Although this decision-making process tends to run like clockwork for most schools and districts, this year there’s a new factor to consider: Apple’s iPad-based iBooks 2 e-textbook initiative (as well as the iPad itself).